Our core stock covers the most popular models and includes the economical and popular Rover 200/25 small hatchback, the 400/45 family hatchback or saloon, and the luxury top of the range Rover 75. We can also source and supply the sporty MG range, which includes the MGZR and ZS hatchbacks, the MGF/TF convertibles and the MGZT range. Prices range from around £1,000 to £3,000 and with a guideline average mileage on the mid range 1.4 and 1.6 engine of approximately 40 mpg Rovers are a very economical car to run. 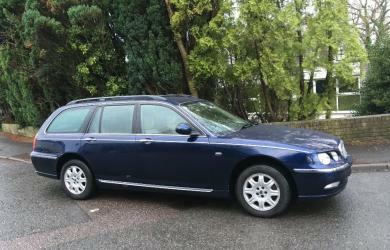 We also stock diesel versions of the small hatchback, family hatchback and top of the range 75 ZT with an average of 50+ mpg, and models registered after 2001 are in a very cheap tax bracket. 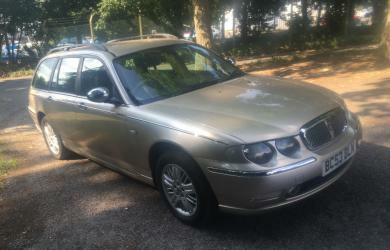 For a first time car, or cheap family runaround second car, the Rover 25 1.4 models are ideal as they are in a very low insurance category, with cheap tax and excellent fuel economy. Good low mileage examples of these models are becoming increasingly hard to find, but we try to keep one or two on our stock. All our vehicles are serviced in our own Rover workshop, and particular care is given to the engine with regard to head gasket and timing belt. We now use the upgraded MLS gasket set, and the majority of our older models have this fitted, together with a new timing belt kit and waterpump. 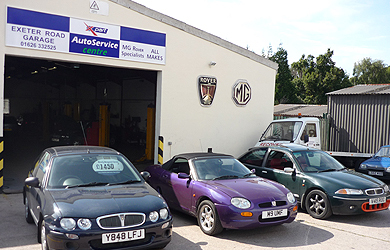 All our quality used MG/Rovers have 12 months MOT, minimum 1 month warranty, HPI checked and are serviced in our workshop prior to collection. For further information or to arrange a viewing and test drive call 01626 332525 during normal business hours or 07966524122 for out of hours appointment. Driver/passenger side and front airbags,ABS,Air con,Power steering,Remote central locking,Immobiliser,Alarm,Cruise Control,Electric front and rear windows,Electric mirrors,Polychormatic interior mirror,Electric front heated and memory seats,Rear parking aid sensors,Stereo and CD changer,Full leather seats,Rear loac covver with dog guard,Alloy wheels. Fully stamped MG Rover service/handbook and two sets of keys. The vehicle was a customer's car which we have looked after for some years. There is a full service history and the following work has just been carried out in our MG Rover workshop. A full engine service carried out including oil and all filters; air, fuel and breather filter. The sandstone interior full leather seats are in good clean condition, as is the cream carpet with a full set of new cream fitted mats and the car has been freshly valeted. The white gold metalic bodywork is in very good condition for the age. Everything on the car works. The engine and gearbox are in very good condition and the car drives very well. For further information or to arrange a viewing and test drive call 01626 332525 during normal business hours or 07966524122 for out of hours appointment.Click on this text to edit it. Driver airbag, air con, adjustable power steering, ABS, immobiliser, alarm, remote central locking (two keys), electric front and rear windows, electric mirrors,folding rear seats with 3 pt inertia seat belts, parking aid reverse sensors, alloys,stereo/CD, tow bar with electrics. The starlight silver bodywork is in very good condition with only a minor parking dink to rear. The full leather cream seats, carpet, and burr walnut dash trim are in excellent condition. The engine and gearbox are also good and sound and drive well. The engine has been up rated with a multi layer head gasket, timing belt, water pump (carried out in our MG Rover workshop at 74000 miles) and a clutch replacement was carried out 3 weeks ago. The service book has been regularly stamped at the recommended service mileage for the vehicle. 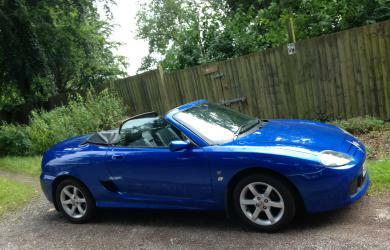 The vehicle is one of our ex sales cars which we sold to our customer two years ago. A new service and 12 months MOT (no advisories) have been carried out and the vehicle will come with 3 months warranty. For further information or to arrange a viewing and test drive call 01626 332525 during normal business hours or 07966524122 for out of hours appointment.Click on this text to edit it.Click on this text to edit it. 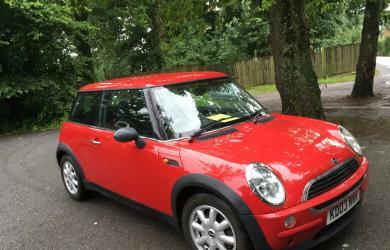 Drivers airbag, electric windows, alarm, immobiliser, remote central locking. Alloy wheels,wind deflector,tonneau, stereo/CD changer. Rare automatic version of the popular MGTF sportscar, the bright Trophy Blue body work is in good condition, as are the cloth seats and interior. The hood and rear window are in good condition with no leaks. 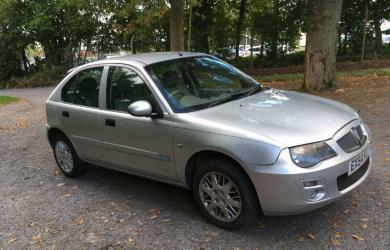 The alloy wheels and tyres are also in good condition. Recently serviced in our own MG Rover workshop including uprated MLS gasket, timing belt and waterpump. Pre owned customer car maintained by us including a clutch replacement. Driver and passenger front and side airbags,power steering,ABS,Cruise control,Air con,Electric Windows/Mirrors,Alarm,Immobiliser,Remote Central Locking,alloys, Stereo. Mechanically very sound car,12 months MOT(no advisories)new clutch fitted Aug 2016,new glow plugs and filters. Suspension springs bushes all sound. Engine and gearbox drive well. Bodywork does have age related marks, but the sandstone beige interior is clean with no rips or tears.clean and in good condition. Driver/passenger air bag,power steering,ABS,remote central locking,alarm,immobiliser,electric windows,electric mirrors,alloys,stere/CD players. The interior is clean and the cloth seats are also in good condition with no wear or tear. The engine and gearbox drive smooth and quiet.